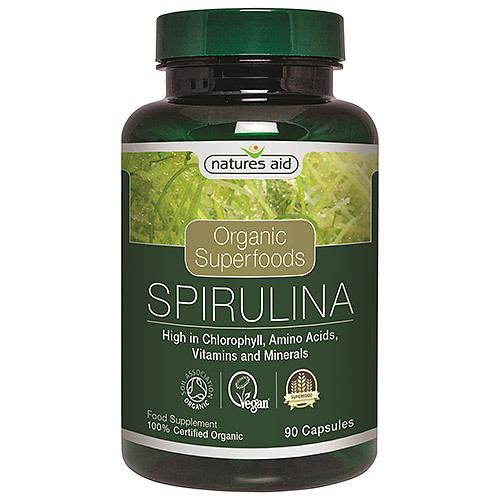 Spirulina contains more nutrients than almost any other food on the planet, and is an excellent source of chlorophyll, amino acids, fibre, proteins, vitamins and minerals, making it a modern day “superfood”. Spirulina (Arthrospira platensis) is a microscopic green algae that is harvested sustainably in freshwater pools on an Island in the South China Sea. 100% Pure Organic Spirulina Powder, Vegetable Capsule Shell (Hydroxypropylmethylcellulose)*. Below are reviews of Natures Aid Organic Spirulina - 90 x 500mg Vegicaps by bodykind customers. If you have tried this product we'd love to hear what you think so please leave a review.